How does a snail wear 3D glasses when he has no ears? Here’s a fact: despite what detractors would lead you to believe, 3D has worth. Utilized properly, as in Avatar or Tron Legacy, it can help create fantasy worlds that immerse and captivate audiences. Documentaries such as Cave of Forgotten Dreams and Pina have showed that it allows viewers an even more up-close-and-personal look at the subject matter. It can even be used artistically to help convey the dramatic theme of a story, as Hugo and Life of Pi so perfectly demonstrated. Here’s another fact: American audiences are now roundly rejecting 3D. When Avatar was released, 71 percent of tickets sold for its opening weekend were for the 3D version. How to Train Your Dragon was right behind, with an opening weekend percentage of 68 percent. This summer, those numbers have been substantially lower: 33 percent for R.I.P.D., 30 percent for The Wolverine, and an all-time low of 25 percent for Turbo. The reasons for this decline are obvious. There are too many 3D movies, too many unnecessary uses of the format, and too many unimpressive conversions of films shot in 2D. As someone who genuinely likes 3D, I think it would be a shame to sound its death knell. It may be on life support, but there are still some ways motion picture studios and theater chains can save 3D. Don’t use it where it doesn’t fit. Studios have gotten into the mindset that 3D should automatically be applied to almost every big-budget event movie, no matter what. That’s a catastrophic move. Since 3D glasses dim the brightness of the image a bit, the format should absolutely never be applied to films that are already visually dark, such as World War Z. And since 3D requires a movie to have longer, more fluid shots that allow the viewers’ eyes to adjust, slapping it on movies with a lot of shaky camerawork, like Man of Steel, can be downright nausea-inducing. Just because a movie has lots of special effects and action doesn’t automatically make 3D a good fit. The sooner we see an end to this type of ubiquity, the better. Studios need to accept that frequent misuse of 3D is detrimental. Take a cue from IMAX. Whereas 3D percentages have been dropping fast, IMAX percentages have been on the rise. The recent Pacific Rim, for example, saw a whopping 19 percent of its opening weekend haul provided by the large-screen format, even though that represented a small percentage of the total number of screens on which it played. The key is that IMAX doesn’t book just any old movie; they selectively choose films that will benefit from the additional sense of scope. For this reason, seeing a movie in IMAX feels like — and, more importantly, is sold as — an event. They play up the benefit seeing a movie on one of their screens will have. A film like Before Midnight would gain nothing from being seen in IMAX (and seeing a scruffy Ethan Hawke several stories high would be terrifying anyway) so they don’t pick that film up. But seeing Pacific Rim‘s robots and monsters duking it out on a jumbo-sized screen? Cha-ching! Emphasize the artistic use of 3D. 3D doesn’t seem special to moviegoers anymore. That’s because it doesn’t always serve any real purpose; it has become de facto, just like sound and color photography. Studios need to make audiences feel like there’s something special they’re going to gain by seeing the film in the 3D format. Avatar was promoted as being a grand adventure designed to be viewed in 3D. Hugo’s PR campaign made sure ticket buyers knew that Martin Scorsese used 3D to echo some of the themes inherent in his film. More of this needs to happen. Tell people why a particular movie is being presented this way. “Because” isn’t a good enough answer. When it’s there just to be there, people will skip it. When they think they’re missing out on something, they’re more likely to seek it out. Make 3D ticket prices the same as 2D ticket prices. This is a suggestion theater chains probably don’t want to hear. Every 3D movie comes with an upcharge, which can be anywhere from three dollars to five dollars. But here’s the dirty little secret: the glasses are free. The digital equipment used to show 3D movies, which includes special screens, is expensive. The upcharge is tacked on so that theaters can recoup their investment a little bit faster. While this is understandable, it’s also a case of shooting themselves in the foot. Why should people pay $10 to see a movie when they can pay $7 instead? Making 3D prices the same as 2D prices — or, at most, a buck more — would give people an incentive to try the 3D version. What would they have to lose? These suggestions could very well make 3D’s long-term popularity viable. None of them are complicated to implement. Those dismissive of 3D often decry it as a gimmick. Here’s what they fail to realize: We don’t know the full potential of 3D yet. Our best filmmakers have only recently started to employ it. Martin Scorsese, Steven Spielberg, Ridley Scott, James Cameron, Ang Lee, and Peter Jackson have all made 3D films. They see the value in the format and, more importantly, will be visionary when it comes to its use. I don’t know about you, but I want such directors to have every possible filmmaking tool at their disposal, because they’re known for occasionally delivering greatness. And when our rear ends land in those theater seats, isn’t greatness what we want more than anything? This leads to the final thing that will help save 3D, and it’s something you can do: Patronize a 3D movie. 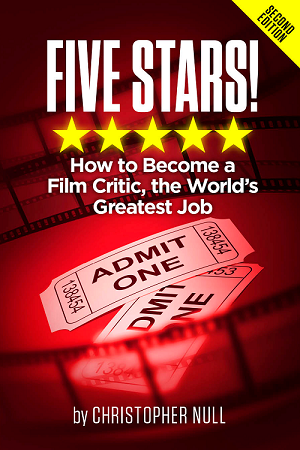 Use a trusted critic to help you find one that uses the format effectively and for a valid artistic purpose. This will help send a powerful message that we want good 3D. Whether you love 3D, hate it, or are mostly ambivalent toward it, we need to keep it around long enough to see what it’s really capable of. And who knows? In the right hands, it just may end up being something film fans view as indispensable. I don’t disagree that 3D has been poorly utilized by most studios. I’ll admit that I saw Pacific Rim in IMAX 3D at the urging of a friend, and it was a pretty incomprehensible film. It tied directly into your 1st point – the camera work was shaky and the imagery dark, so anything not in the foreground might as well have not been in the movie. The only other full-length feature I’ve seen in 3D was Paranorman, and while better, that was distracting. 3D has yet to have its version of the Jazz Singer, a movie that demonstrates that it is more than just a novelty, and I’m not sure I can envision that happening anytime soon. I think of things like the Oculus Rift and wonder if that might be the future of 3D technology – where the film gives us 360 degrees to observe at our own discretion. It could be like mixing performance art (Sleep No More, a play where the audience roams the set and follows whatever actors strike them as interesting) with film. Not saying that’s a good thing, but a static image with depth is probably not the next level of immersive filmmaking. The next big jump will probably be considerably more interactive than what we currently see.